We’ve come in contact with many inspirational, influential people who have incredible travel jobs. We met Darryl when we were living in Grenada and he’s since become a great friend. He’s a successful business owner living in paradise, but more importantly, he’s created the lifestyle of his dreams. 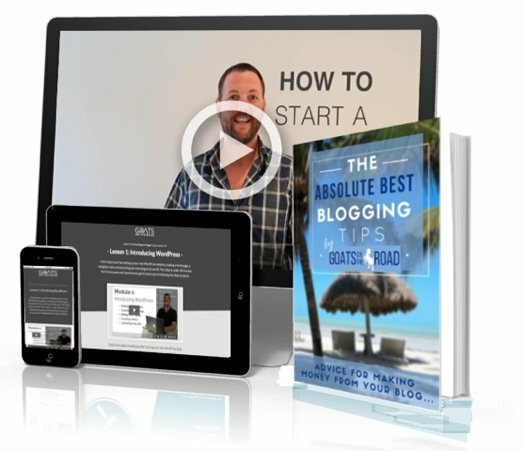 While he may not have the freedom as those who know how to make money from home, he gets to live in the Caribbean with his family and as a side job, he learned how to make money online and how to get paid to write online. We think his story is so amazing, read on to get inspired! If you’re looking for other cool online jobs, check out our posts about paid online surveys and our epic guide on how to get paid to travel. Hey Darryl, thanks for taking the time to chat with us! We’re good friends with you, but for our readers who maybe don’t know who you are, can you please tell them a little about yourself? Yeah, I’m Darryl Kotyk….sometimes known as Coco Darillo. I’m a Canadian who just never felt comfortable in that country so I’ve done all I can to create my own culture that fits better. 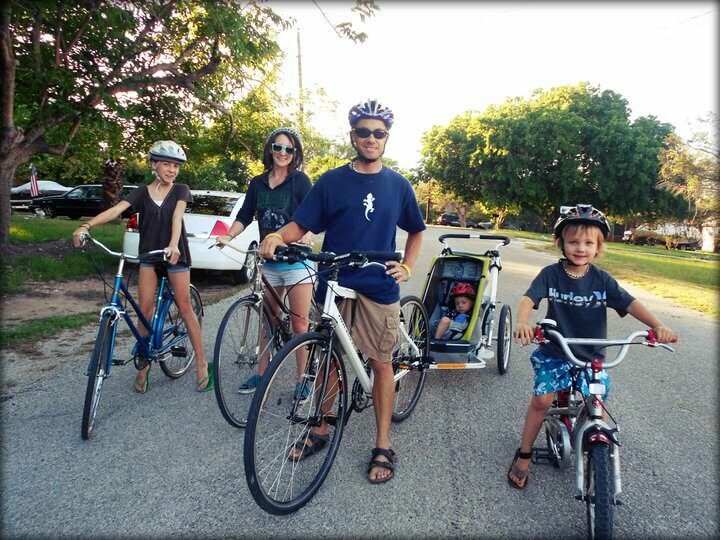 There are two things that I’m passionate about, my Family and Bicycles. I’ve created a life that let’s me to maximize my enjoyment of these things each and every day. For a summary of my life in 500 words or less, check out “A Beachbum Looks at 45“. We think that your story is extremely inspirational! What made you decide to pack up your family, leave Canada and travel / live overseas? I can still remember the summer after I graduated from University. I wanted to go work in the Caribbean so bad, but wasn’t exactly sure how to make it happen. I knew of a Canadian guy who was working in the Cayman Islands and somehow managed to get in touch with him. This was before the days of Facebook and Google so it wasn’t exactly the easiest thing to do. I talked to him about life on the island and how he got a job. I don’t remember all he had to say, but following that call I must have sent out my resume to every single hotel in Cayman…..and got absolutely no response back. I wasn’t able to relocate myself, but the Caribbean dream still lingered. About 8 years later I became online friends with someone who was living in Barbados. She knew of my dream and while on a vacation in St. Kitts she met a guy who was looking for someone just like me to help run his business. Six months later I was working at Mr. X Watersports. During my time there, St. Kitts became my second home. It felt so comfortable and right, but after less than a year I found myself back in Canada. I made a few short trips back to St. Kitts in the years to follow and then one winter I decided that it was time to move back. At this point in my life, I was with a girl who would be my future Wife and her young daughter. I left for St. Kitts with no clue of what I would do for work but felt that I had enough contacts there to make things happen. Five months later, I was still without a real job and didn’t want the girls to come before I had things set up. They decided to book their tickets anyway, and a couple of days later I landed a fantastic job at the Marriott Resort. We stayed in St. Kitts for a total of 3 years. At this point our family grew as we welcomed our baby boy. Three weeks later we moved to Austin, Texas for a job I had set up while living in the Caribbean. Without getting into too much detail, we ended up back in Canada after a couple of years and had another baby boy in February 2010. During our time in Canada we knew we needed to go somewhere else, but didn’t know where it would be. 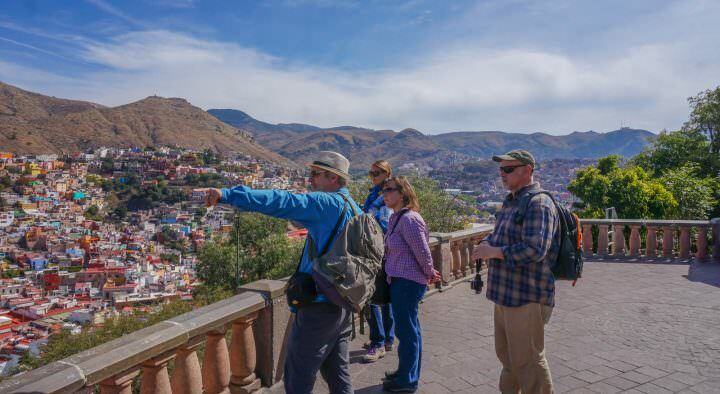 We looked at Belize, Grenada, and a few other spots but couldn’t figure out the best spot. So we decided we would head back to Austin and figure things out from there. Again, I felt I had enough contacts in Austin to keep us going until we could figure out our more permanent move. Along with Belize, we spent some time in Bonaire….and at one point were convinced that Bonaire would be the place. Then the magic happened again. Just as I was starting to get frustrated with all the hoops we had to jump through to get things set up over there, a long time contact from Grenada sent me “the message”. 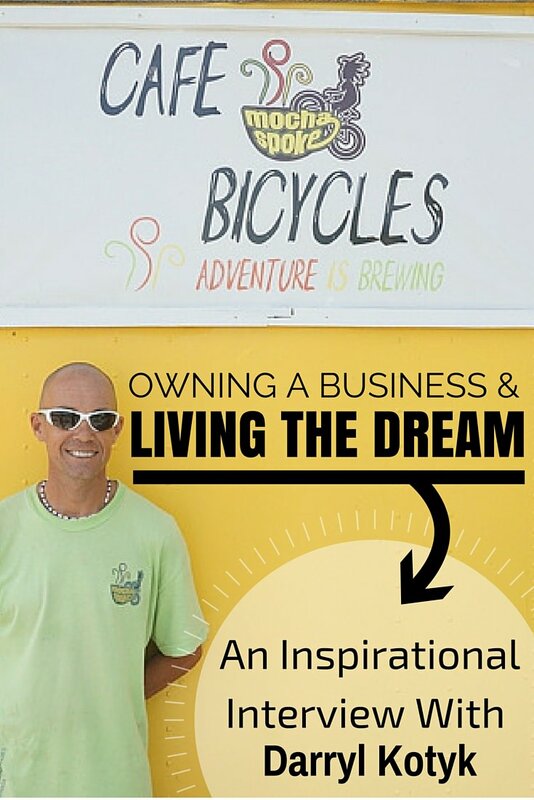 My Wife and I had decided that a business that combined coffee and bicycles was the way to go and when Marc DeCaul e-mailed to say that this exact sort of business could do well in Grenada…we knew right away that fate was talking. 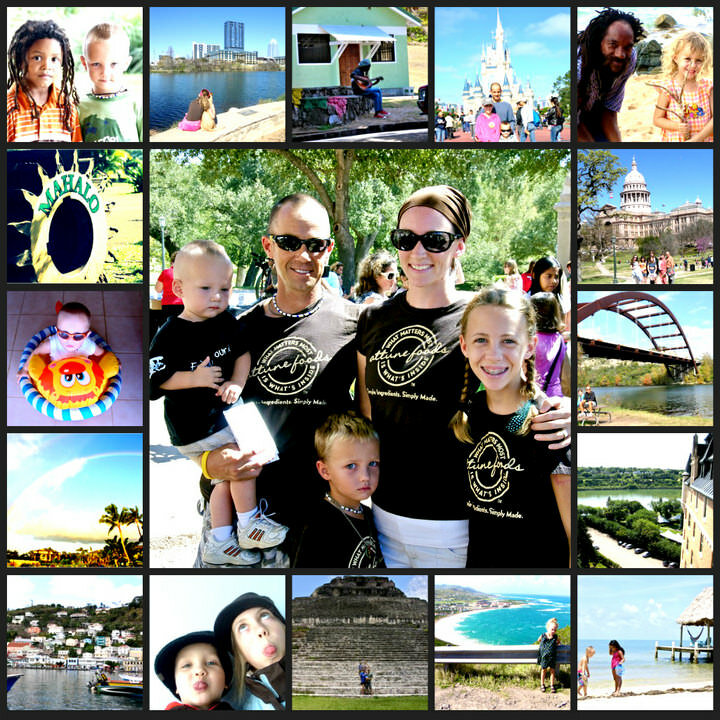 Within just a few months we had packed up our life in Texas and were ready to move our entire Family (3 kids and 2 dogs) to Grenada. That was very long-winded, but to simply answer this question….It was my strong desire for a different life and to stay true to my belief of living in my own personal culture that made us leave our Canadian life and search for something else. Where in the world have you and your family put down temporary roots so far? Can you tell us a bit about “child-led learning”? What does that entail and why did you choose this course of education for your children? We started homeschooling with our Daughter when she was around 8 and we were living in Canada. I think the main reason was because we wanted to do some longer term travel and this seemed like the best way to go for education. We started out more formal and it slowly became more of an un-schooling situation. I like the term “child-led learning” and really hadn’t thought about it like that until just over a year ago. We’ve been homeschooling/un-schooling our middle Son since he was about 5 and plan on doing this next year with our youngest Son as well. My Wife is really the leader of our child education and I trust her decisions and direction….although every once in a while the traditional side of me feels like they need more of a typical school kid experience. But I do love the idea of our kids learning about what they are most interested in and having the freedom to experience things they would never do in school. Our Daughter is almost 16 and she is a major un-schooling success story. She has written a few incredible books, self-motivates herself to learn incredible things, is a read-aholic, and already knows exactly how she wants to live her life. It blows my mind. What advice would you give to people who think that they can’t travel because they have kids? You can’t do anything that you don’t think you can do….and you can do everything you believe you can do. I could leave it right there and that would be enough advice, but let me add in a little more. Kids are so much more resilient than people give them credit for. In fact, they are probably much more designed for adventure than adults are. If you are using kids as the reason for not doing something, then you don’t really have a passion to do it. You run a very unique business here on the island of Grenada! Can you tell us what your shop is all about and what you offer there? Unique is right….in fact we’re the only Bicycle Cafe in all of the Caribbean. Here in Grenada, we offer things that absolutely nobody else is doing. Mocha Spoke is basically two businesses in one. The cafe side offers all the goodness you’d expect to find in your favorite cafe….and more. We sell all the different coffee and espresso drinks along with frappes, smoothies, and candy bar milkshakes (which is most definitely unique….and tasty). 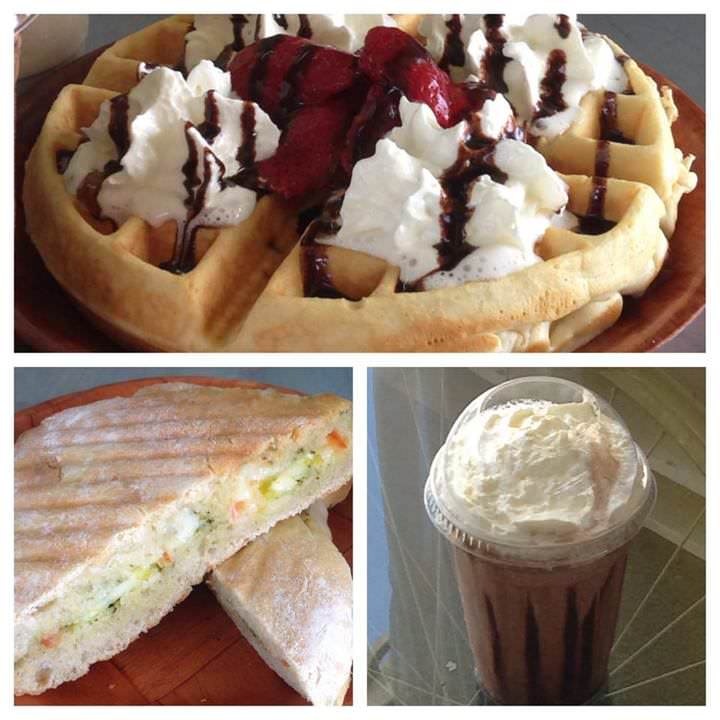 We also sell paninis, salads, Belgian waffles, oatmeal, and a whole lot of amazing baking products. 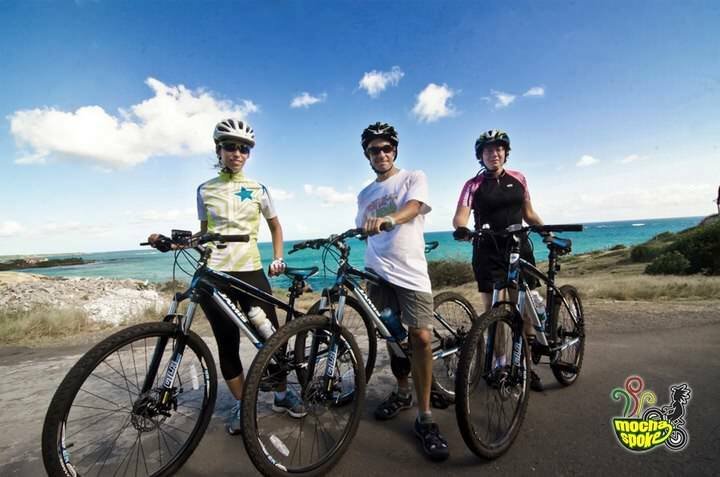 On the bicycle side of things we provide bicycle rentals and tours which mostly caters to the tourism crowd. Along with that, we do bicycle repairs and sell a variety of bicycle accessories. We also just started building our own brand of bicycles. We call it Concepcion which was taken from the name Christopher Columbus called Grenada when he first came here. Just like being the only Bicycle Cafe in the Caribbean, we’re also the only bicycle builders in the region as well. Bringing bikes in from the States is very expensive due to shipping and duties, so by manufacturing them here in Grenada we’re able to bring down the amount of duty paid. So far we’ve built high-end carbon road bikes, but will be moving into lower priced road bikes, mountain bikes, cross bikes, and more. This is very exciting and I never would have ever thought I’d own my own bike brand. For any bicycle enthusiast it is one of the most ultimate dreams to ride your own brand of bikes. Setting up a business anywhere in the world can be a major challenge, let alone in a foreign country with less than standard rules and regulations. Grenada is actually one of the easier places in the world for a foreigner to set up a business. Having a local partner is not a requirement, but in my experience I would say that it sure does help a lot. People always say that partnerships are difficult, but that hasn’t been my experience so far. I think it’s mostly because Marc and I are laid back and agreeable people. We might have different opinions sometimes, but things have never become an argument. Marc’s family has a very strong background in business on the island and have been successful and well-respected. Having this ingredient has significantly helped get Mocha Spoke going. There has been more than a few instances where a minor bump in the road was smoothed out quickly by Marc or his family. I am so thankful to be in business with Marc. There are a lot more procedures and paperwork required than you would think for a Caribbean island. It’s a good thing we have Marc’s Mom who takes care of all the accounting and other documents. That part of the business would have been a nightmare if I was in this alone. Your lifestyle here in paradise seems very chilled out, free and fun. 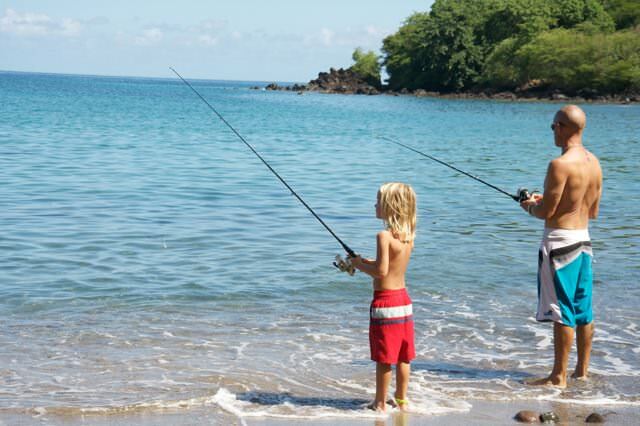 How do you keep a balance between work, life and family? I’ve always said that I am Lifestyle Motivated, so it’s always been what I chase after the most. It all comes down to priorities and core values. I know what is most important to me each day and I know what I’m okay with doing and not doing. I basically spend most days doing the things most important to me first, and then making time for the other stuff after that. Like I said before, I have created my own culture so that means I get to combine work, life, and family all in one. My family is always hanging out with me at Mocha Spoke, and my love for bicycles is a part of each and every day. So I guess I don’t really have to balance, I’ve just mixed them all together instead. You also find time to run a lifestyle/health website, can you tell us what the website is all about and how people can get in touch with you there? I’ve been running Loving the Bike since February 2010. I had always wanted some sort of thing that I could run online to fit with my mobile lifestyle, and on the advice of a guy named Gary Vaynerchuk, I decided to start a cycling lifestyle website. The site is Lovingthebike.com (check it out in the Bio below) and it’s a place where we provide motivational content on living life to the fullest….on and off the bike. You don’t have to be a cycling enthusiast to get something out of the site. Each Monday we put up a Make it Happen post that is mostly about living your dreams and living life. We tend to mix in lifestyle even more than cycling, but always are sure to keep the bicycle theme. I love the site because I’m passionate about the topic and love being in full control. It has allowed me to meet incredible people from all over the world, and to make an impact on a sport and industry that I love. Do you see yourselves living in Grenada full-time now, or do you think you’ll continue to move around in the future? Yeah, Grenada is home. We just bought a small house with two acres of amazing fruit and vegetation. We do still want to travel and definitely have several locations on our list of places to experience. The only hang up right now is we have our own mini-zoo. Dogs, Tortoises, Turtle, Donkey, Chickens…..they make getting away a little more difficult. Bonus Question! Any final thoughts for people who may be toying with the idea of moving abroad to follow their dreams? My favorite phrase is “Do it Now”. So many people get caught up living their day-to-day and not letting their dreams and passions have a voice. Whenever these thoughts come up, they find excuses or crush them before allowing them to grow and come to life. Or, they say I’ll do it one day in the future. My advice is for people to learn to jump first and think later. If you’re honestly wanting to move abroad, start by taking steps in that direction. If you can’t bring yourself to fully jump in with both feet, then start by taking an extended vacation to some areas you’re interested in. Spend your time there learning everything you can and talking to absolutely everyone. You’ll soon find that the magic will happen and things will all fall into place. But most of all…..Do It Now. Darryl Kotyk is a bone fide social media warrior who loves meeting and interacting with people from all over the World. A native of Canada, Darryl realized that he needed to relocate in order to live out his ideal lifestyle so he uprooted his family and moved to the Caribbean, then to Austin, Texas….and then again to Grenada, West Indies. 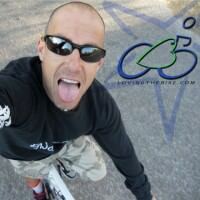 His cycling lifestyle blog, Loving the Bike, has become a favorite digital media hub for bike lovers and people who dig the loving life lifestyle. 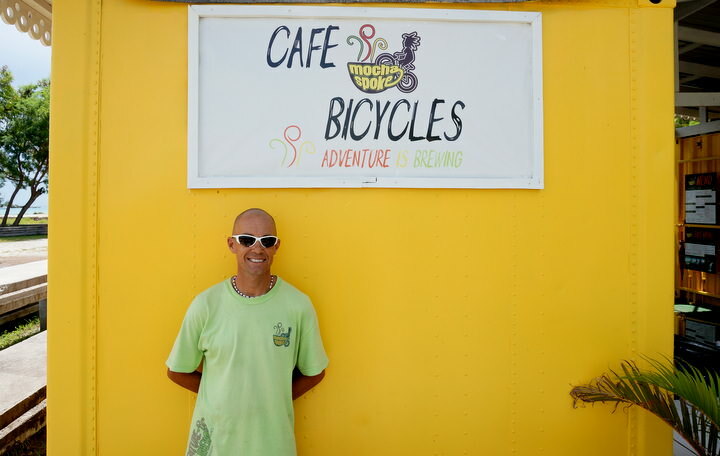 He is also the owner of the Caribbean’s first and only bicycle cafe, Mocha Spoke. Additionally, he is co-host of the hugely popular cycling podcast known as Cycling 360, and one of the founders of the popular weekly Twitter chat,#bikeschool. Oh, and this wasn’t enough, he’s often involved with various other projects related to cycling. 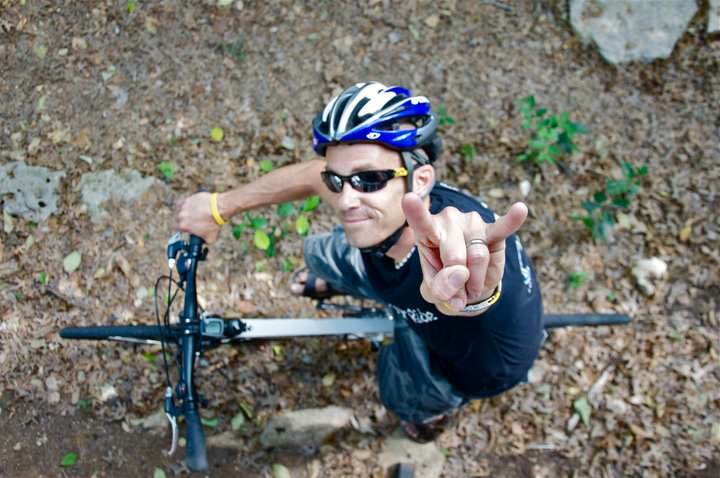 When not hard at work juggling all his cycling sites and business, this devoted husband, father of three, and avid cyclist can be found riding those crazy island roads of Grenada, or conversing with clients and fans on Twitter, Facebook, and so many other funky cool places. Why Are We So Damn Happy?! Awesome, Awesome, Awesome. I’m so honored to be featured on your amazing website. Thanks for sharing my story with your readers….I hope it inspires them all to live out their dreams. If anyone ever wants to ask me questions, just let me know. Oh, and be sure to get your goat butts back to Grenada very soon. Thanks so much for sharing your inspiring story with our readers. 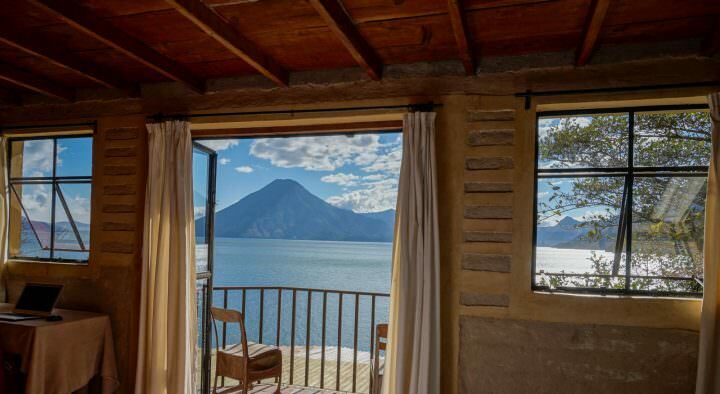 Many people have many excuses why they can´t live out their dreams – whether it´s travel related or not. 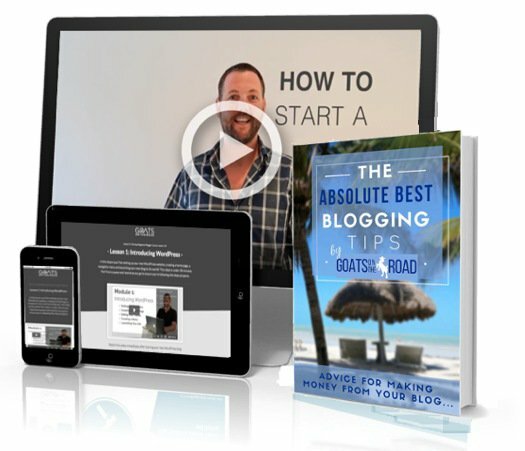 Knowing that there are people like you who are living in paradise, with a wife and kids, while owning a cool business and doing what you want, when you want, each and every day….now THAT is inspiring!! Thank you for sharing your story, I really enjoyed reading your journey. I’ve been following goats on the road for some time now after coming across a youtube video on Grenada and love what they do and getting out there. Like yourself, I worked in the hospitality industry for years with a passion for getting to the Caribbean at all costs! I eventually found work in the Cayman Islands for a couple of years. years ago now. My partner and 2 children, 6 & 9yrs old have finally had enough of the UK and are in the middle of preparing the house to sell and move on for a warmer quality of life. Grenada is a place we’ve been before and could see myself moving there. Homeschooling seems to be the way to go and has increased big time in the UK. How is homeschooling working out? Would you be kind enough to share any downsides or anything you wished you had done prior to setting up on the island knowing what you know now and do you have to leave the island every 3-6 months to get your passport stamped, allowing you and your family to stay, or do you have residency now? if so, was that easy? Any suggested resources would be appreciated. I wish you and your family all the best in your new venture. I’ve been wanting to “jump in” for quite a while now and I can honestly feel the push. Great!! That´s what we like to hear 🙂 Sometimes all it takes is reading about others inspirational stories to give you that extra nudge to get out there and Jump! I hope this article helped nudge you over the top. Remember that life is meant to be lived out loud…..Do it Now. Next time I’m in Grenada, I’m heading to Mocha Spoke! Yes, we can’t wait to meet you Corrine. Be sure to contact us at any time with your questions about Grenada and to let us know when you’re coming…[email protected]. Hi Katie, there is an agreement between Canada and the US which offers a work visa called the TN (Trade Nafta). If someone has a University degree and a suitable job offer, getting the TN Visa is quite easy. Of course there are other visa options, but for me this was the way to go. Great post, thanks. It is a shame that so many people think they don’t have options. It isn’t always easy to pursue your dreams but the rewards are tremendous. And more examples, like this, can help show people they have choices. You know it, John…..Anything and Everything is possible as long as you believe it is. Thanks for your comments. Great reading!! I’d like to know if there are any jobs for General Practioners & English teachers in Grenada or any of the islands in that area? My friend and I are interested in living our dream to work and travel too. We are both very young 50 & 60 years of age, energetic and just love living in other countries and learning about all cultures. Grenada is actually an English speaking country 🙂 …although sometimes you wouldn’t know it as it’s hard to understand their Caribbean accents! As far as jobs for general practitioners goes, I’m not too sure. I would contact Darryl on http://www.lovingthebike.com to see what he says. Grenada is an excellent island to live on and it sounds like you guys have the right attitude about life! Wow! Congratulations Aaron! That’s very exciting, good for you for just going for it. I’m so glad that Darryl and Amanda could be that extra bit of inspiration that you needed 🙂 All the best.